There are perhaps only a few things that elicit the feeling of pure joy that comes from consuming chocolates. The rich, smooth, milky goodness is a guilty pleasure for most of us. If you happen to be passionate about chocolate, you’re probably well aware of the mess it can make for your clothes and furniture. Parents of young children know all too well. While there’s nothing wrong with having your fair share of chocolate, the stains it leaves behind can prove troublesome to remove. 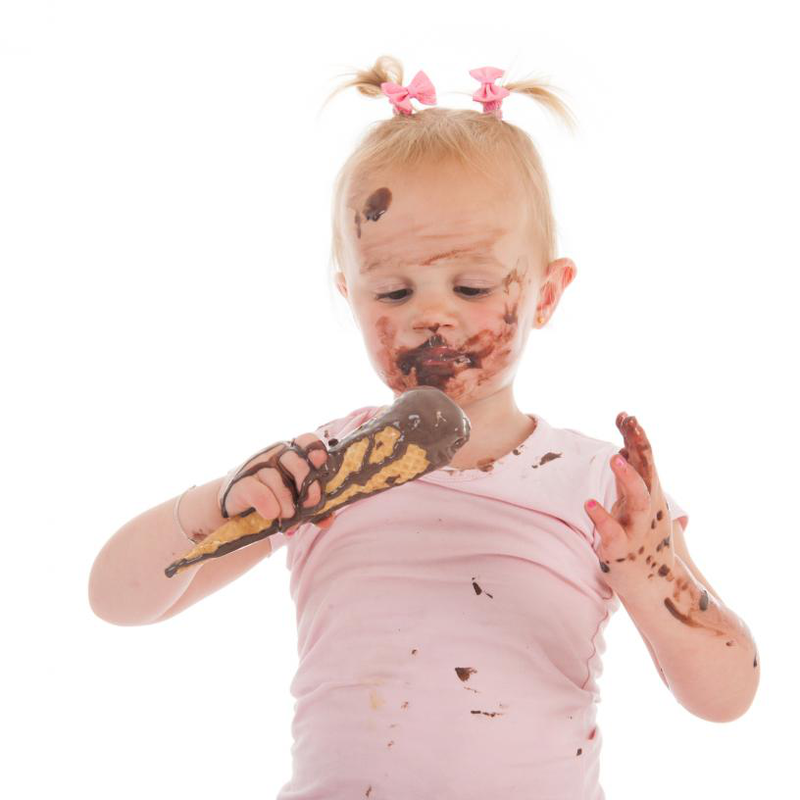 We share a couple of handy tips to clean and get rid of chocolate stains. Begin by removing excess chocolate from the fabric using a spoon or a butter knife. Using anything sharper can damage and cause cuts in the fabric. Scrape away the chocolate from the bottom, but be careful not to spread it any further. In case the chocolate has already dried, it can prove tricky to remove without causing damage to the fibers. If the process seems to be damaging the cloth, do not scrape or peel away the chocolate. Rinse the back of the cloth with cold water. This prevents the stain from spreading. Hot water will set the stain (because it’s protein-based). Although using cold water may seem to be counter-productive, (since most chocolates have an oil-based stain component) our aim is simply to remove the stain and not allow it to set permanently. Gently rubbing liquid detergent over the stain aids in its removal. If you do not have a liquid laundry detergent, substitute it for dish soap but not the ones used in dishwashers. Let the cloth sit in for around 5 minutes without rinsing and then put it in cold water for 15 minutes. After every 3 to 6 minutes, gently rub the stained area with your index finger and thumb. Repeat the process until the stain is completely removed. Sometimes, oily stains can remain and require cleaning with a stain removing spray or gel. After treating both sides of the cloth to the stain remover, put it in the washing machine and then air dry it after removal. Repeat the steps until the stains disappear. Old chocolate stains can be tricky to remove as they harden with time and heat. These may appear as dark blotches on the clothes and your best bet is to use liquid laundry detergent. If both new and old stains persist, we recommend our laundry pickup and delivery in DC to help you get rid of all types of stains and have your clothes looking brand new! Contact them today!